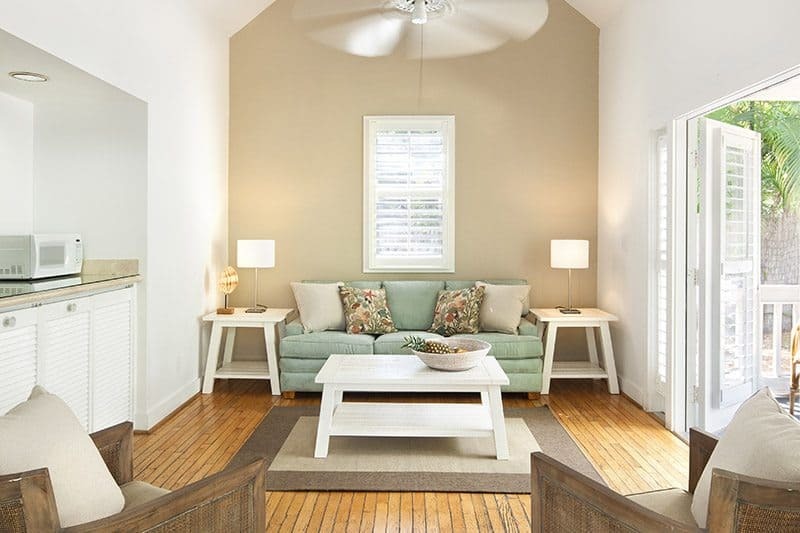 Paradise Inn, a Key West Inn and Guesthouse, is a traditional Caribbean compound made up of historically significant cigar maker cottages that have been meticulously renovated into one and two bedroom accommodations, set in a secluded environment. Enjoy daily complimentary continental breakfast and nightly turn down service. Whether you want to unwind in the Jacuzzi, cool off beneath the palms in our fountain-fed pool, or walk just one block to the excitement of Duval Street, come stay with the Paradise Inn.